Your environmentalist guide will meet you at your accommodation and after introductions all around we drive north along the scenic route to Mossman. Lush farmland contrasts with seascape as we approach the majestic Daintree River. 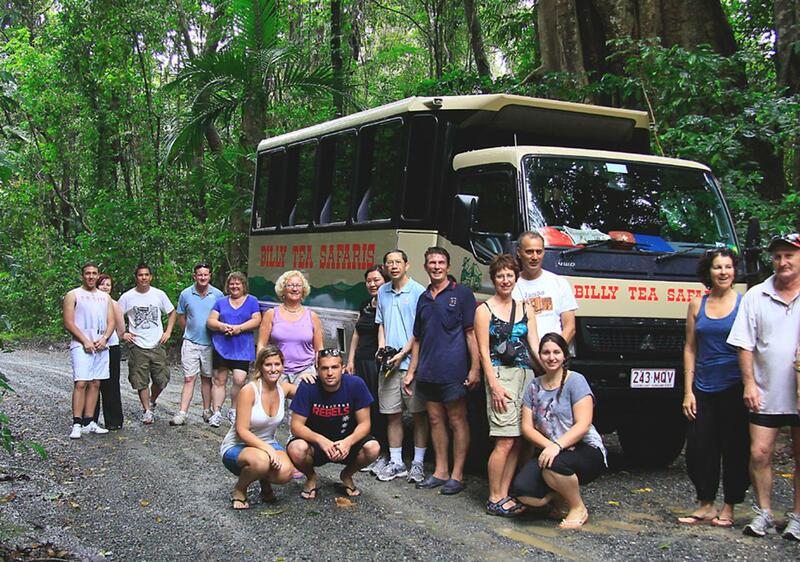 Time for a short morning tea break then it's all aboard for an informative River Cruise at the Daintree River Cruise Centre who are also Advanced Eco Tourism Accredited. Relax and enjoy the splendour only the Daintree can offer as you learn of estuarine crocodiles, mangrove forests and wildlife - this is nature at it's best. We then ascend the Alexandra Range- pause for a panoramic view of the World Heritage Tropical Rainforest merging with the azure colours of the Coral Sea. 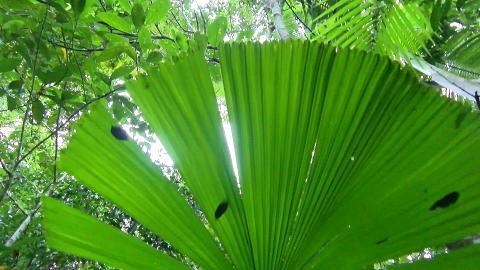 Experience the reainforest first hand on our elevated National Park Boardwalk. Your guide will offer an interesting flora and fauna interpretation and explain about the Aboriginal Culture, and Bush Tucker relevant to the area. There is ample time for photographs and questions as we search for the elusive, rare and totally unique Southern Cassowary and other wildlife species within this particular habitat. A delicious barbecue lunch with freshly made salads is prepared while you have the chance to hand feed a kangaroo and enjoy a cold drink from the bar. Our tour does a little more. It takes you beyond Cape Tribulation. We travel the first 7kms along the 4WD Bloomfield Track arriving at pristine Emmagen Creek. You have the opportunity to take a refreshing swim. Look for fish and turtles in the creek, butterflies and exotic birds in the trees, indulge in a feast of tropical fruit and savour a cup of Traditional Billy Tea, all of which enhance the tranquil surrounds. At Cape Tribulation Beach you can enjoy the beach or take a walk to the lookout to view where the rainforest meets the reef. 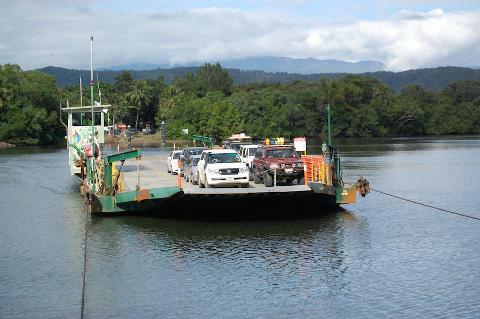 After a short stop we travel via the cable ferry crossing over the Daintree River, and then begin our homeward journey somewhat wiser from our rainforest experience. Comfortable clothing and footwear, water bottle, swimmers, towel, sunscreen and insect repellent.